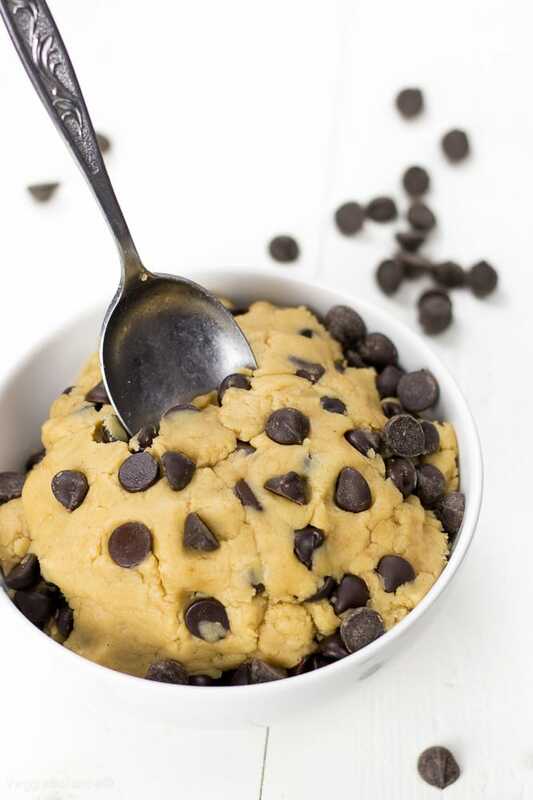 Healthy Cookie Dough packed with all the delicious flavor minus the worrisome eggs. Late night craving for some cookie dough? 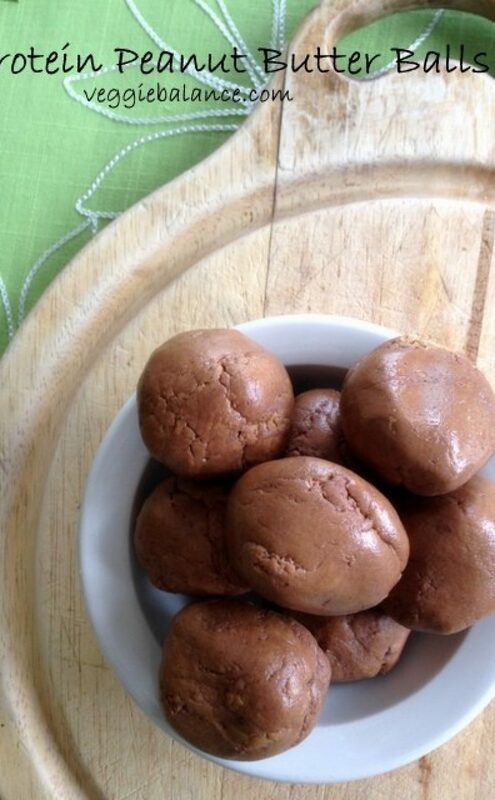 Grab a bite of this craving curbing treat packed with protein and natural sugars. 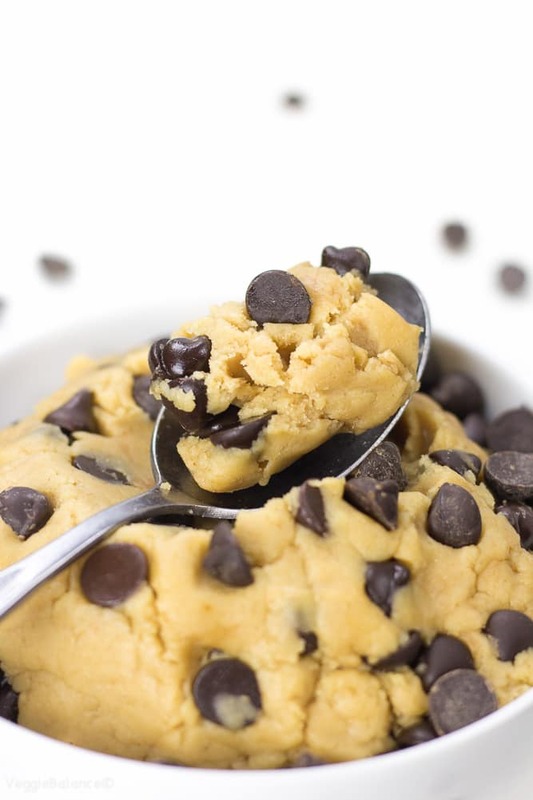 Eating a spoonful of this cookie dough just got a little guilt-less. 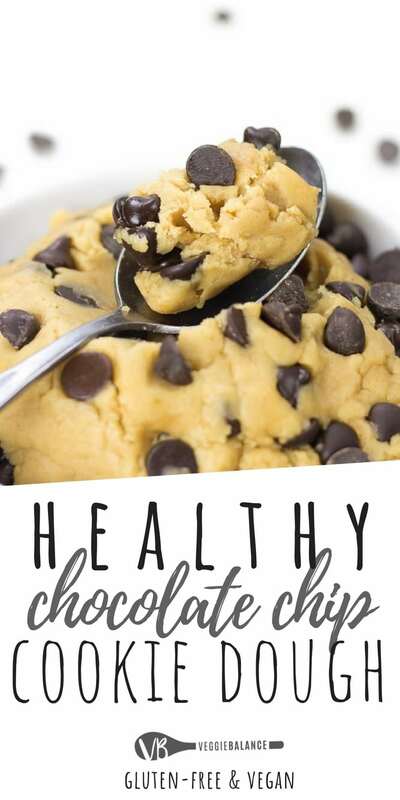 Healthy Cookie Dough … it kind of sounds like a oxymoron. But all the delicious and guilt-less flavor is here with this simple-to-whip-up eggless cookie dough. No Butter – Swap out the traditional butter with a nut-butter of your choice! Lower-Sugar – Using natural sugars only keeps our sugar levels in check. 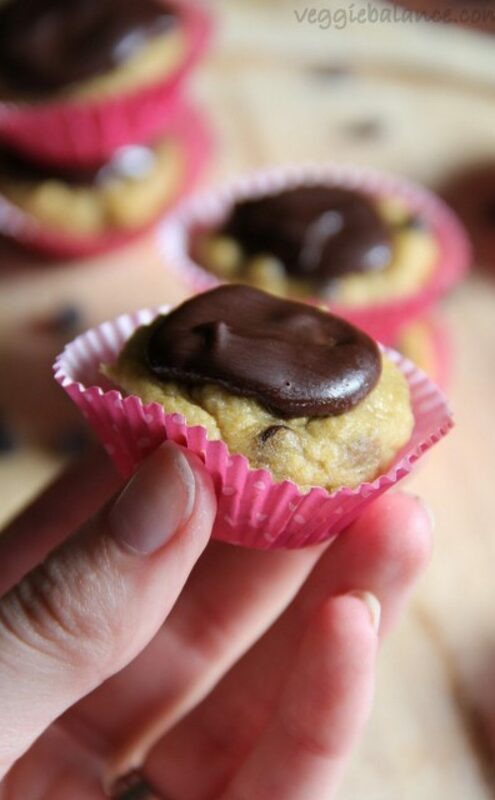 No Eggs – Egg-less edible cookie dough my friends. Yessssssss. Chocolate – ALWAYS. We always need chocolate in our lives. This is how this cookie dough was came to life: A late-night craving for cookies plus an urge not to spend all my “dough” to make it healthy. Turns out … the dough to these healthy chocolate chip cookies (also almost this recipe) is too deliciously good not to be showcased. 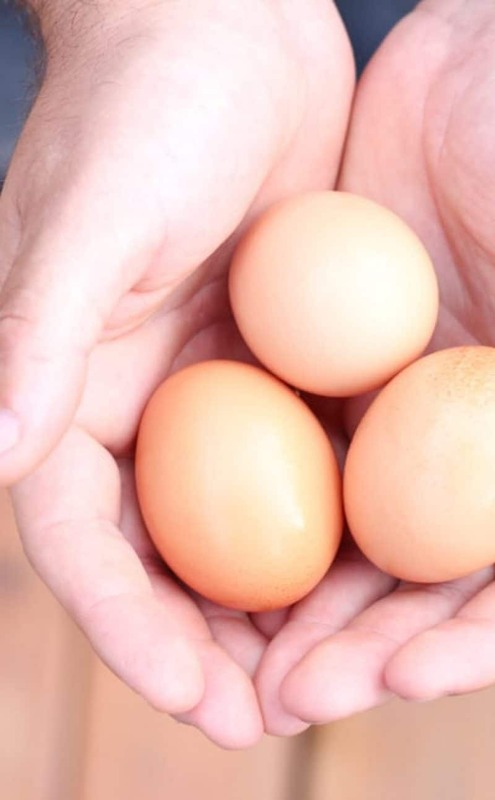 If you are concerned about the raw flour as many say is actually the real risk with eating raw cookie dough and NOT the eggs. Follow the following instructions. tips for those concerned with consuming raw flour – heat treated flour! Preheat your oven to about 325 degrees F.
Take your measured flour and lay it out on a baking sheet. 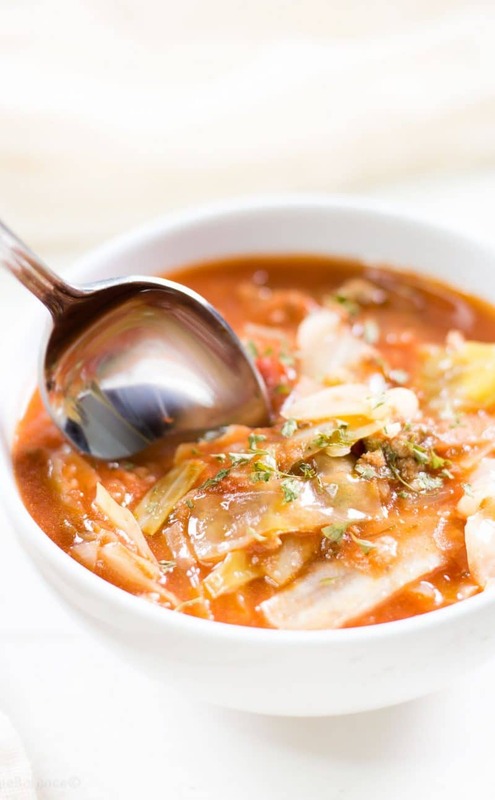 Allow it to fully cool before using in recipe. This should kill off any bacteria that is lingering in the raw flour that could supposedly make you sick. 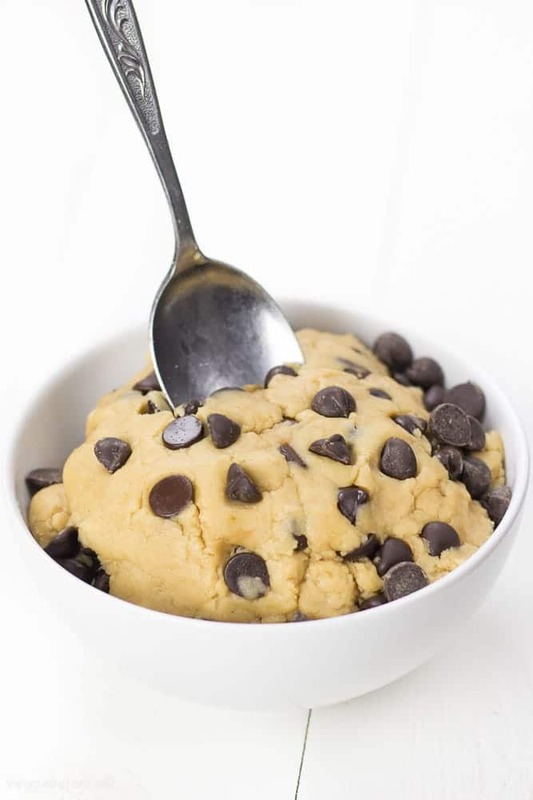 I mean, seriously, there is nothing better than healthy cookie dough with less guilt (and no eggs) to satisfy a sweet tooth. We’ve all been there, there is a spoon and a tub of cookie dough involved. Perhaps even a glass of wine (or two). 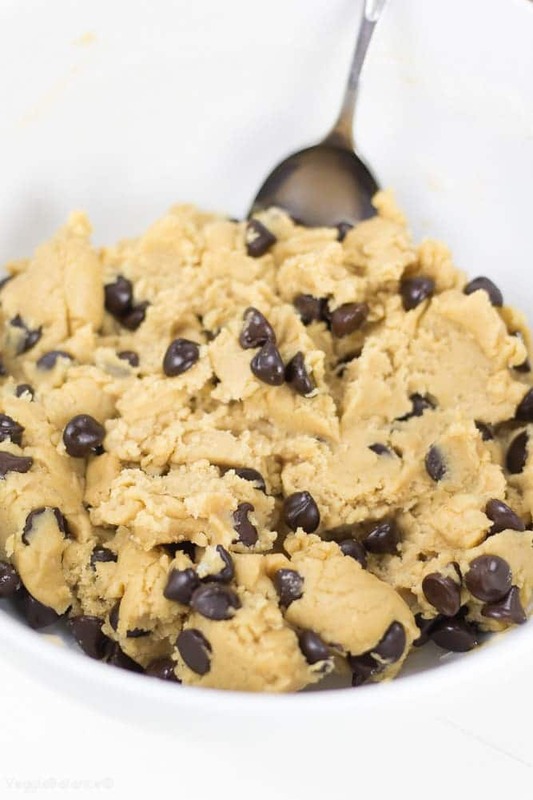 Those rough days we turn to the cookie dough are tough enough, but this is how we can make it a tinyyyy bit better by taking the guilt out of eating an entire tub of average cookie dough by devouring this delectable treat instead. 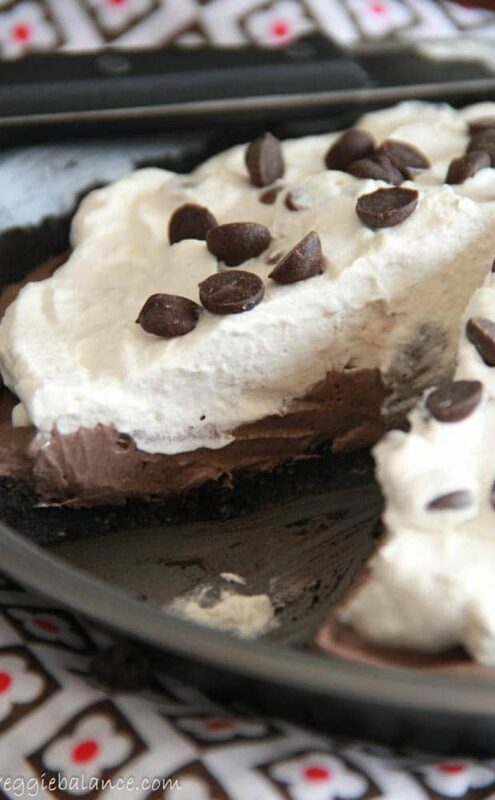 This is so tasty, it perfectly curbs those cravings with a bit of cookie dough and a bite of chocolate. Some days we just have those ROUGH days! Things just not going right, everything you touch just seems to be F**** up. *SIGH* We all have been there. So if you are just looking for something sweet, chocolatey and a little bit healthier versus eating an entire tube of cookie dough? Which gluten free flour mixture do you use? I have a few I like. I just wondered. Also, one of the ones I use for “cookies” says not to consume uncooked grains? I just want to make sure it’s safe for my Littles. Thanks!! My absolutely favorite and honestly the only one I use is Bobs Red Mill GF 1-1 Baking Flour. The blue bag not the red bag. There is said somewhat of a risk for eating uncooked flour, similar to eating soft cheeses while pregnant I’d almost compare it too. Here is an article explaining it a bit more why some flours have those warnings on the bags. I guess my recommendation is to read the article, research the type of flour you are using and you can make the decision for your little ones. 🙂 Hope this helps! Just wanted to chime in – I’ve read that you can toast your raw flour in the oven at 350 for about 5 minutes to kill any bad bacteria. 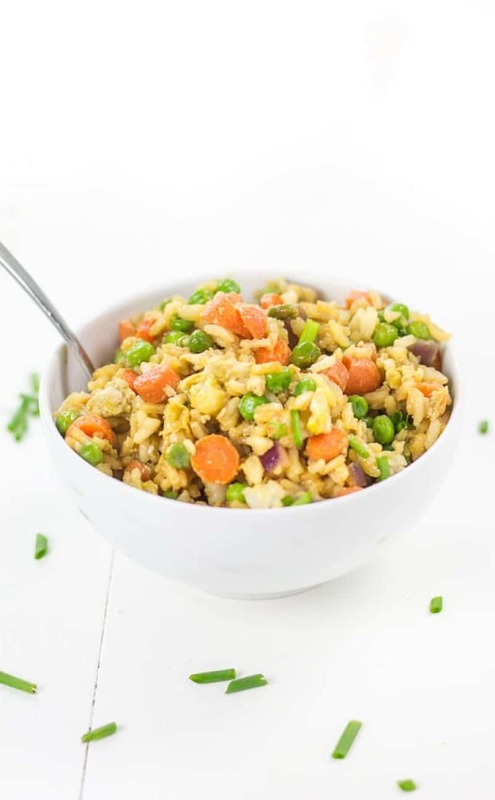 Could I substitute the applesauce for mashed ripe bananas?? If you really could please just read the recipe instead of writing a passive aggressive comment that would be great. 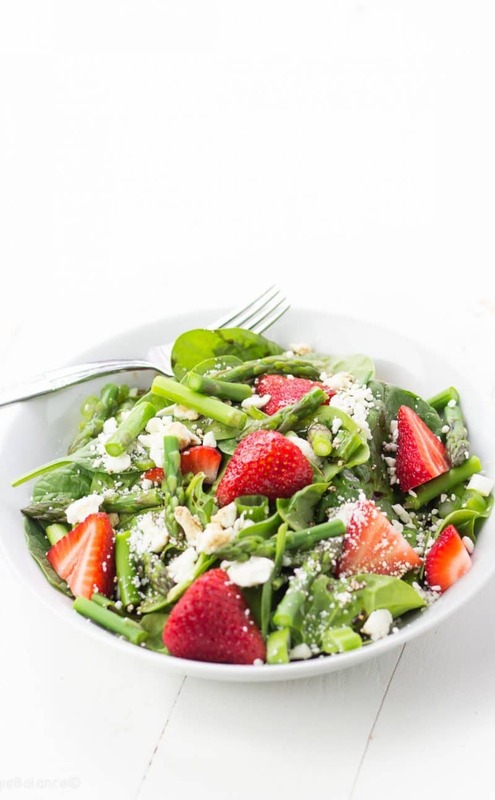 Agave nectar is RIGHT THERE. . . That is vegan. Have a fabulous day. 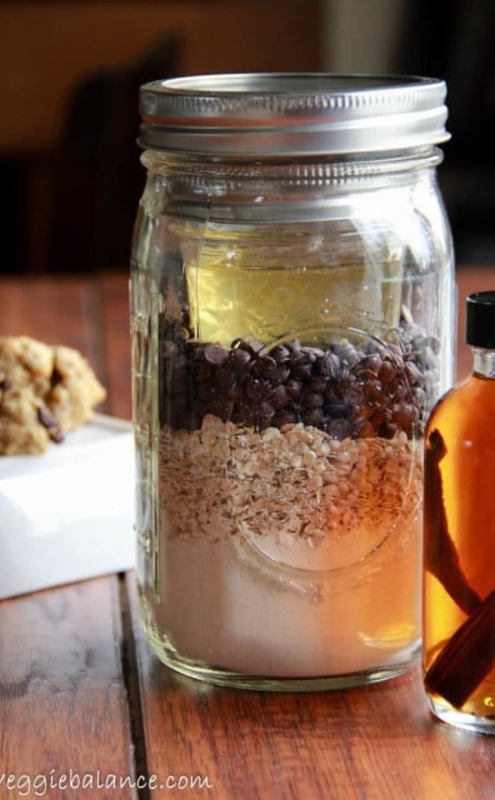 Healthier option for chocolate chips, swap out the chocolate chips for carob chips, they are naturally sweet, low in fat, high in fiber, has calcium and no caffeine. They taste just as good as chocolate chips! Any tips for avoiding the grit? I’ve never used gluten free flour before, but I did because of an allergy and I only had the time to make one thing as a gift. And it’s gritty. Still yummy, just gritty. What type of gluten-free flour did you use? A blend and what brand? I struggled with the consistency, I used almound butter,almond flour and real organic honey but it seemed as if I needed to add 2-3 times the amount of flour to come close to the texture you had. I also ended up adding more almond butter as well. Any types for next time. We haven’t tested this recipe with almond flour so that is might be the problem. Almond flour is not a 1-1 ratio. We link to the gluten-free flour we use in the recipe.